100% Mineral Powder. 100% mineral pigments cover imperfections and visibly erases pores and lines without settling into creases for a flawless, ageless look. Helps cover visible signs of aging. Skin looks brighter, revived and feels softer for hours. Full coverage. High performance. Experience the velvety sable brush for a blissful, effortless, controlled application. luxurious, long-wearing natural shades free of talc, parbabens, oil, fillers like rice powder, fragrance, gluten, contains no Bismuth. Ingredients: Mica, Iron Oxide, Titanium dioxide. 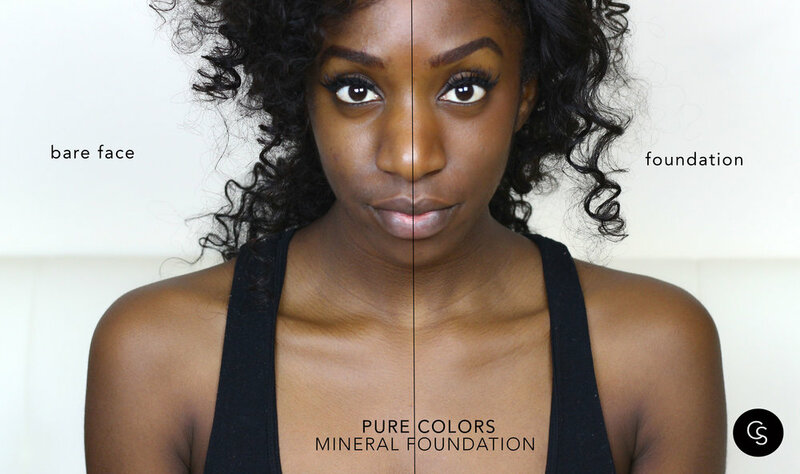 Pure Colors’ Mineral Foundation is great for those who prefer powder foundation to liquid. It can be easily applied with a brush or a sponge and feels weightless on the skin. 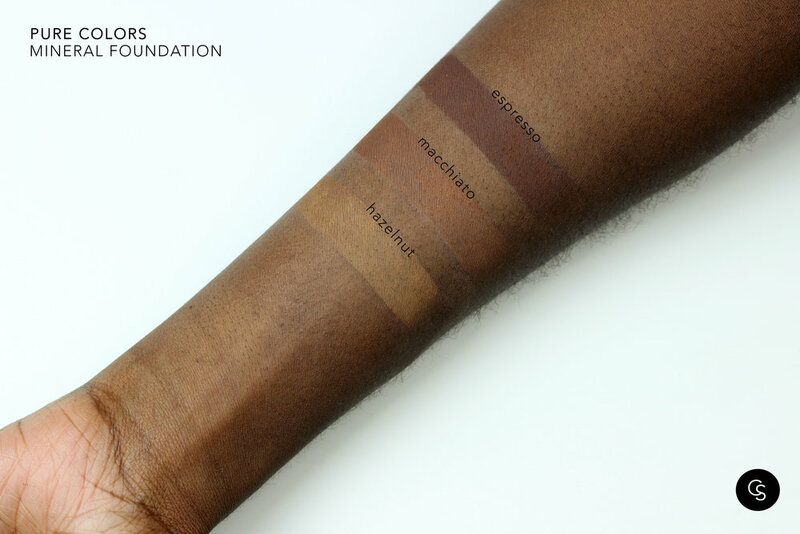 Although, it comes in a great number of shades, it is only available online, so you will have to take your best guess at your shade.